Ripped Freak is a popular fat-burning supplement made by the company PharmaFreak. 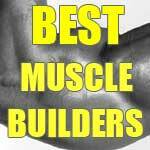 It it very well known amongst the bodybuilding community and is one of the longest running recipes available. 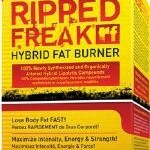 What PharmaFreak have done with Ripped Freak – or rather what they haven’t done – is quite interesting. 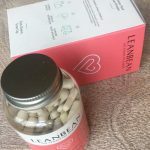 In an industry full of products packed with dodgy stimulants and cutting edge ingredients that make the rounds before they’ve even been safety tested, this product is different. For an extreme looking company, they have stuck to a traditional formula, with nothing controversial in there. It’s a bold move in itself considering much of the competition live on the thin line between hype-driven profits and an FDA warning, or even worse. What on earth are we talking about? Let’s have a look and find out. 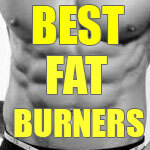 This is a thermogenic fat-burner. The ingredients should support some degree of energy boost, cognitive lift and anti-oxidant activity, though there’s no real way of determining how much. 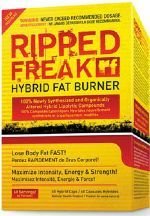 Using a fairly well known selection of ingredients, Ripped Freak has been developed to increase the process of thermogenesis, which is the physiological heat of the cellular mitochondria using fat as fuel for energy. This heats the body’s core temperature, which tries to cool itself, thus using even more energy. Basically, it’s like cranking up the furnace and using air conditioning to cool it down. Waste of fuel, right? But it’s a good thing when that fuel is our fat stores. NOTE: The above dosage is contained in 1 (one) capsule of Ripped Freak. We’ll get to the Usage Guidelines next but the maximum number of pills you should take a day is 2. As mentioned above, there is an optional second dosage per day. They recommend the first pill should be taken on an empty stomach first thing before breakfast with at least 8 ounces of water. The optional second pill should be taken early afternoon, again on an empty stomach, a least 30 minutes before a meal. 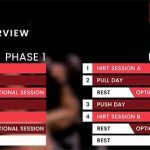 On training days, take one pill 30-60 minutes before your workout. Finally, don’t take this product within 6 hours of bed-time; one capsule contains the equivalent caffeine of about 3 cups of coffee. Read the instructions carefully, we have provided some but we can’t copy the entire label here. Suffice it to say that anyone with a medical condition, on medication, pregnant, breastfeeding or otherwise unsure – consult a doctor before you take this or any other fat-burner/supplement. Other than the caffeine, which may cause a few unwanted side effects to stimulant-sensitive people, there doesn’t look like much to worry about in Ripped Freak – at least from our perspective. You shouldn’t consume other sources of caffeine along side this product. Pharma Freak is one of the well known supplement companies. Ripped Freak is sold in bottles of 60 capsules which gives you a month’s worth of supply if you want to follow the 2 pill-a-day routine. How Does Ripped Freak compare to the Market Leader? The ingredients in Ripped Freak are very similar to one of our favourite fat-burners – Instant Knockout. Only, the Instant Knockout formula is a little more balanced and powerful. As a quick exercise, we’ve compared the two recipes side by side in the table below. The ‘unknown’ quantites in Ripped Freak are all part of the 400mg proprietary blend. 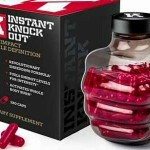 Pay particular attention to the Green Tea Extract, of which Instant Knockout has 500mg. 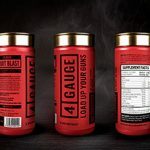 That’s more than the entire proprietary blend in Ripped Freak, which contains all the main ingredients for Fat-Burning. We recommend Instant Knockout every time. The comparison speaks for itself.